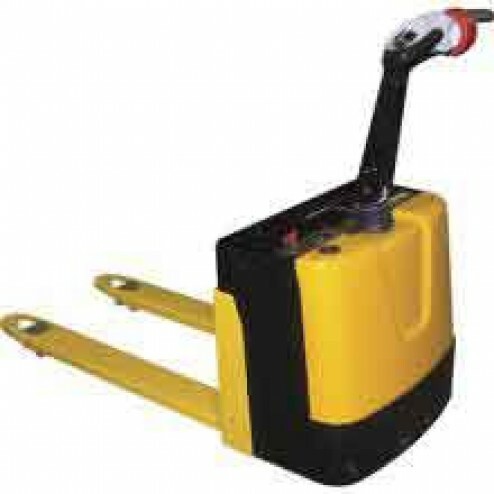 This easy to use electric pallet truck features a continous capacity of up to 3000 lbs. and a fork width of 3.2" x 7.8"
The Vestil Fully Powered Electric Pallet Truck can easily be operated in forward or reverse with the user-friendly throttle. Fork Width: 25" x 47"
Service Range: 3.2" x 7.8"
Power: Two 12v batteries with 70Ah rating. Units can run for up to 8 hours when fully charged. Equipped with a horn and belly reverse button for safe operation. Throttle provides unit with infinite forward and reverse speeds. Features convenient finger-tip raise and lower buttons.